Karlhaus Realty is a boutique Real Estate Consulting and Advisory Firm and licensed real Estate Brokerage. Karlhaus Realty is part of Karlhaus LLC, a Florida For Profit Limited Liability Company and is authorized to operate in several jurisdictions in the United States and abroad. Unless otherwise agreed to in writing, we operate as Transaction Brokers under the laws of the State of Florida. We also have subscribed to the Code of Ethics of the National Association of Realtors. We do not knowingly solicit business with persons who are already obtaining services from other Realtor® Brokers. All persons are, of course, free to select or change Real Estate Services Providers to Karlhaus under their own will subject to whatever legal Agreement, if any, they have already established with others. In most cases of sales transactions, our compensation is typically covered by the Seller. Our fees are offset by "co-op" commissions offered by Listing Agents through the Multiple Listing Service ("MLS") or negotiated by Karlhaus with Sellers of property. 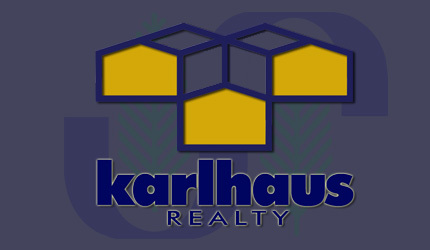 It is a company-wide policy of Karlhaus Realty to offset our Real Estate Services Fees and waive any overage to Customers and Clients that retain our services once they purchase a property through a Karlhaus agent or waive our fees altogether if they later decide not to purchase any property at all. This policy does not preclude Karlhaus from entering into any Professional Services Agreement for custom services. WE DO HAVE A FEE PROGRAM FOR BUYERS THAT DESIRE TO UTILIZE OUR SERVICES AND EFFECT THEIR PURCHASE THROUGH A NON-KARLHAUS AGENT. PLEASE CALL AHEAD TO MAKE THE PROPER ARRANGEMENTS AND TO OBTAIN OUR CURRENT RATES. IT IS THE BUYER'S RESPONSIBILITY TO DISCLOSE THEIR INTENTION TO UTILIZE THE SERVICES OF A NON-KARLHAUS AGENT BEFORE RETAINING THE SERVICES OF KARLHAUS. BUYERS MIGHT BE LIABLE FOR FEES AND SALES COMMISSIONS BY UTILIZING ANY OF KARLHAUS WEB SITES OR OBTAINING ANY KARLHAUS-PROVIDED INFORMATION THROUGH ANY MEDIA INCLUDING BUT NOT LIMITED TO EMAIL AND TELEPHONE COMMUNICATIONS, TO FIND AND/OR RESEARCH PROPERTIES OR OBTAINING ANY REAL ESTATE MARKET INFORMATION AND EFFECTING PURCHASES THOUGH NON-KARLHAUS AGENTS. Sellers fees are set forth on the Listing Agreement with Karlhaus. We do have fee-based programs for Sellers desiring to retain Karlhaus Professional Services without necessarily listing a property for sale with Karlhaus. We can provide independent Broker Price Opinions and marketing strategy advise to ensure peace of mind to Sellers while releasing them from any obligation to list their property with Karlhaus. We have fee-based programs for duly licensed Agents and Brokers that desire to utilize our Services to better serve their customers in transaction sides where Karlhaus is not otherwise involved. Agents are expected to fully disclose their intentions before retaining the services of Karlhaus. We have a very generous referral compensation program whereby Karlhaus will pay a portion of its collected fees to properly licensed and legally authorized referring agents of customers that purchase or sell their property through Karlhaus. Referral Agents can come from any country in the world. Please contact us for the appropriate Agreements as Karlhaus will only honor Agreements executed in writing. Referred customers must not have had prior contact with Karlhaus. * Must be entered by Agreement in writing, no exceptions. Special fees may apply. Very well put!. It's about time someone with a true professional approach to real estate sales came to town!